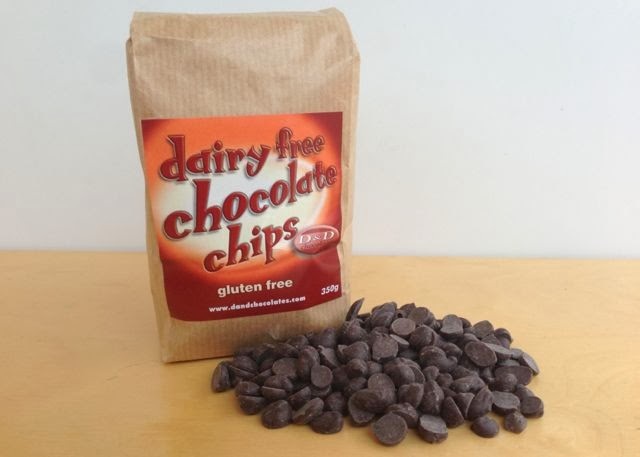 A big bag of dairy-free chocolate chips for baking. D and D Chocolates produce a range of dairy-free carob and chocolate goodies, including fondants, bars and seasonal chocolates. The Siesta brand is part of D and D. This 350g bag of chocolate chips is dairy-free, gluten-free and nut-free and is made with a mild 55% dark chocolate which even kids will enjoy.